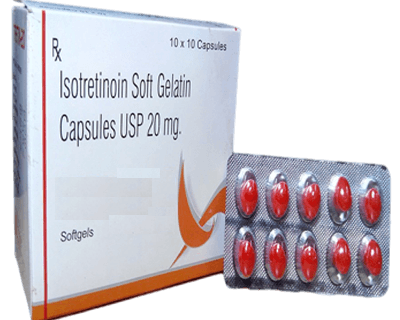 Accutane (generic name, Isotretinion) is prescription medication that has been used by millions of people on a global level. Originally developed in 1985 by Hoffman-La Rouche, Accutane is used to treat severe cases of acne. The drug was first developed as a means of chemotherapy for various types of cancer, and then later discovered to treat acne. A synthetic form of Vitamin A, Accutane has been found to create a number of side effects, both short and long term, for those who use it. For women who are pregnant, Accutane side effects can cause serious complications with the unborn child. Among these complications are retardation (mental) and physical deformation. Not only is it detrimental during pregnancy, but also at the time of becoming pregnant as well. Taking Accutane results in mild issues that may be tolerable. Some of these include sexual dysfunction, eye problems (blurred vision, conjunctivitis), dry or cracked skin and joint pain. Though these Accutane side effects are mild, they can cause discomfort. The use of Accutane results in moderate discomfort. Some of the moderate problems derived from the medication are severe depression, back pain, loss of hair, and a heightened sensitivity to allergens. Often, it takes a medication to counter these conditions onset by Accutane. Some of the more severe side effects caused by taking Accutane have resulted in a number of law suits. It is estimated that over 5,000 lawsuits have been filed because of the fact that taking Accutane results in severe problems that can alter a healthy way of living. Some of the side effects include suicidal tendencies, heart attacks, seizures, bone loss and strokes. Most lawsuits have included damaging side effects such as conditions relating to the bowels. Accutane has been noted as the possible cause of two major gastrointestinal diseases: Crohn’s disease and ulcerative colitis. Both diseases create problems with the intestinal walls, causing inflammation, fissures, abnormal tunnels and inflammation. There is no cure for these diseases, but it is possible for them to go into remission. In many of the lawsuits, removal of parts of the intestinal tract has been the result of taking the medication. Before taking the medication, consult a physician as to the risks involved to see if the benefits outweigh the complications. The Accutane side effects are a major issue with many who have taken the prescription medication in the past, and it will continue to cause problems with others in the future.